The hits keep coming. 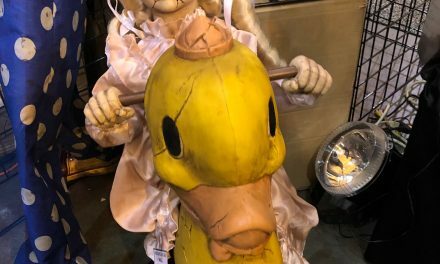 After a crazy weekend at HauntCon last week in New Orleans we are still cranking out the new Halloween props for 2019. 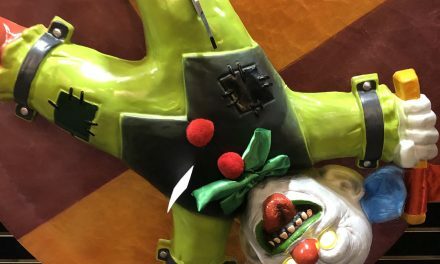 Today we have the Giant Animated Jester Halloween Prop from Morbid Enterprises. Morbid has been around for years and has been churning out some of the most popular Halloween props in the industry. Their latest animatronic is the Giant Animated Jester. This guy stands a little over seven feet tall and is quite menacing. I’m a sucker for clown Halloween props so if I can add the Giant Animated Jester prop to my collection for a decent price I will likely jump all over it. A jester isn’t necessarily the same as a clown, but to me it’s close enough. Large crown props have become en vogue recently. Ever since Grimli the Evil Clown came out two years ago we have seen an influx of tall clown animatronics into the market. 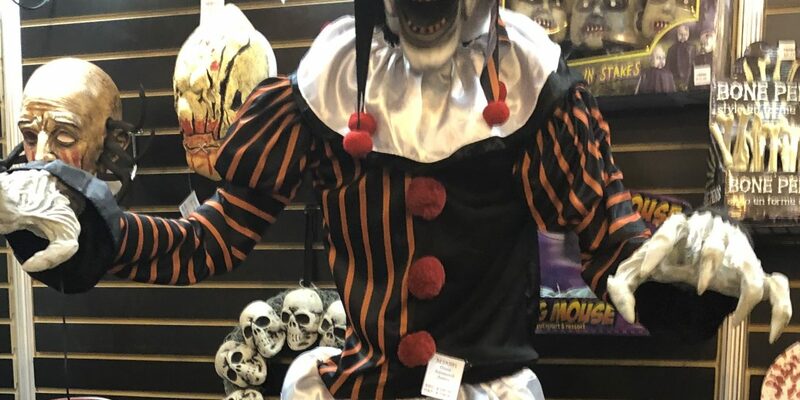 With the sequel to “It” coming out this year you can bet that there will be customers looking to add some clowns to their home haunts this fall. The Giant Animated Jester Halloween Prop will likely retail for $149 to $179. The price will vary depending on which store or website you visit. Each store runs on different margins and some may charge more for the prop. Some websites try to sucker you in with a lower price then get you buy charging $20 or $30 extra for shipping. Shop around and find the best price. 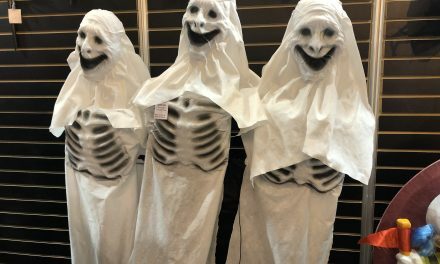 Halloween 2019 is only a few months away. 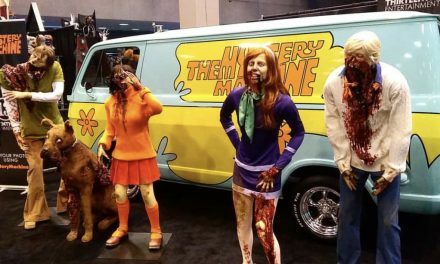 If you are anything like me you can hardly wait to put out you Halloween decorations. Keep checking back. We have a lot more cool props heading your way.